This class addresses how one’s energetic structure comes into its physical form as a biological body. Learn how the akashic records (records of all the Lifetimes of your Soul) affect your body size, shape, health, “genetics”, personality, even phobias. Learn how your energy flow, through the chakra system, affects your body in the way of illnesses, dis-eases, eating disorders, etc. Learn how negative influences, Karma, and the evolution of consciousness impact your body and its functions. Learn how held emotional, mental, or Spiritual energies can result in an excess or absence of body fat or fluids, good health, diseases, and more. 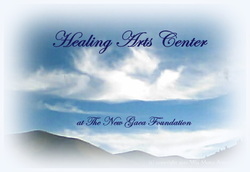 Learn how Spiritual guidance and energetic Healing can assist you in managing your body and its wellness. Learn how energy blocks, Karma, negative influences, etc. integrate with your biological body. Learn about “cleaning up” the body after Healing, particularly at the energetic levels. Learn how your biological body is affected by changes in collective and/or mass consciousness. This class pairs well with (and is the prerequisite for) the The Physical Side of Living With Your Body class. Both classes are usually taught together.